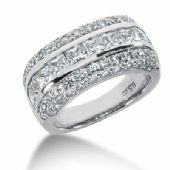 This shiny diamond anniversary wedding ring was handmade in the Diamond District of NYC by our talented jewelers who have over 40 years of experience in the craft. They used the best technology to place each diamond into its space. 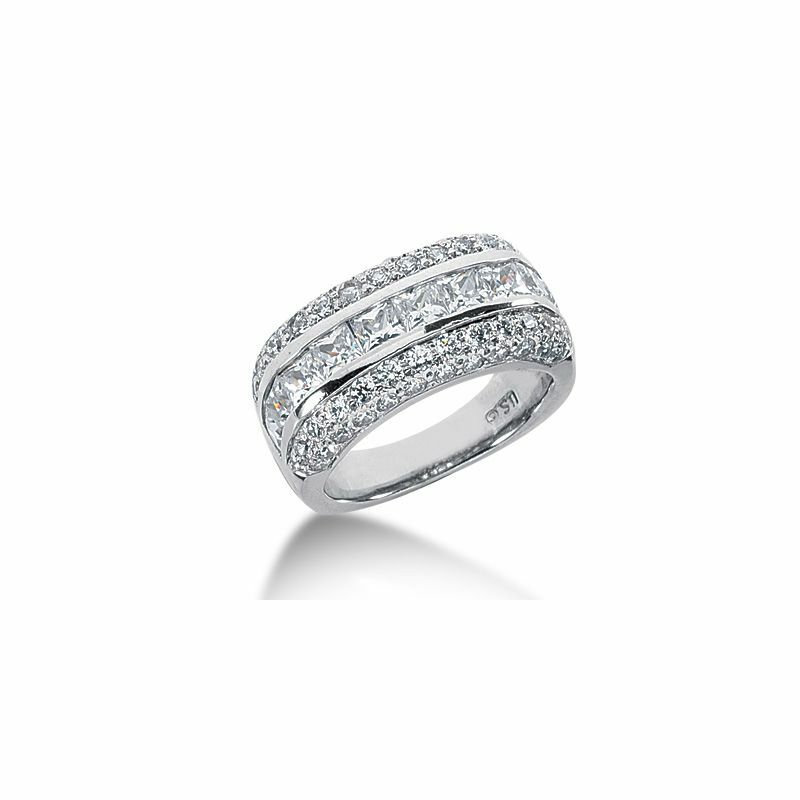 The princess cut diamonds are in a channel setting, and the round diamonds are set into the ring on each side of the channel set princess cut diamonds.